Android phone come with a tool which help you to erase or remotely lock your lost or stolen phone. The phone generally uses fingerprint, passcode, password, pin or a pattern as a security lock. Now think of a situation when your phone is lost or stolen and someone tries to misuse it. You can sit back and relax knowing that you can use Android Device Manager unlock to provide the security for your phone. For this feature to work, you will have to first enable Android Device Manager on your phone. It can also unlock your phone easily with just a few steps, saving you a lot of time. It can conveniently remove the security passcode from your phone, in case you have forgotten it. For this tool to work, you will need to set up a Google account on your phone. This article discusses how you can use Android Device Manager unlock to unlock an Android phone easily and you will also learn about an alternative method for this. These days setting up an unlock security code for your phone is of utmost importance to avoid a situation where your friends or strangers get an access to your personal data. Also, you wouldn’t want anybody else to gain access to your data in case your phone gets stolen. Now, think of a situation wherein you are the one who isn’t able to access your phone as you have forgotten the security passcode. 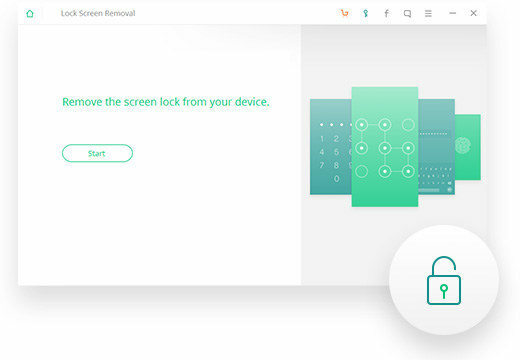 You can easily get out of such a situation with this wonderful tool of Android Device Manager unlock phone which comes with the feature of unlocking your phone in easy steps. For this to work, you would have to enable Android Device Manager on your phone and link it to your Google account. This can be done in the steps mentioned below. Step 1: Turn on the location access on your phone by going to “Settings” and scrolling down to the “Location” option and then enabling it. Step 2: From the “Settings” option, select “Google” and from there select “Security”. Push the slider to the right on both “Remotely locate this device” and “Allow remote lock and erase”. Step 3: Open your web browser, and navigate to https://www.google.com/android/devicemanager and log in using your google account details. Check if it is locating your phone. Through these steps, the Android Device Manager remove lock will be enabled on your phone. 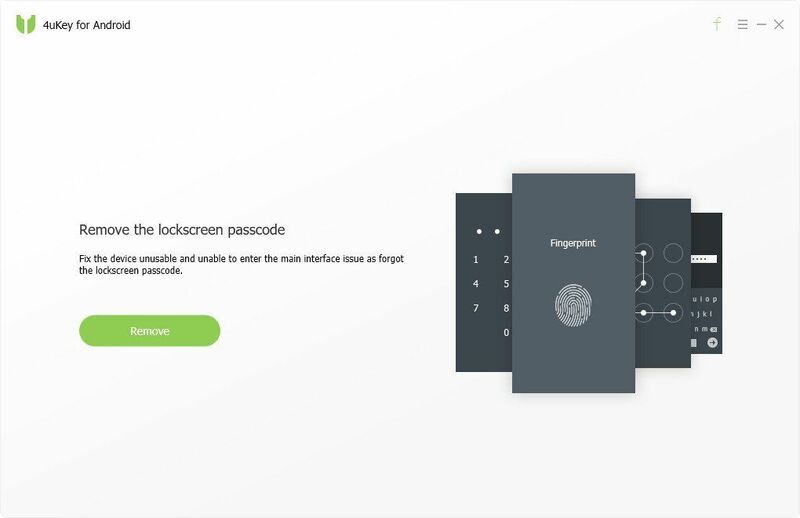 If you have enabled the Android Device Manager unlock screen on your phone prior to forgetting your passcode, you can use this feature to unlock your locked phone by following the steps below. Step 1: Take another PC or phone and open https://www.google.com/android/devicemanager on the browser and use your google account details to sign in. Step 2: Select the device which you wish to unlock and click on “Lock” option. Step 3: Enter a temporary Android Device Manager unlock pattern, and re-enter it to confirm. Step 4: You can unlock your phone with the temporary Android Device Manager password reset which you provided earlier. Step 5: If this doesn’t work, go back and choose “Erase” option. 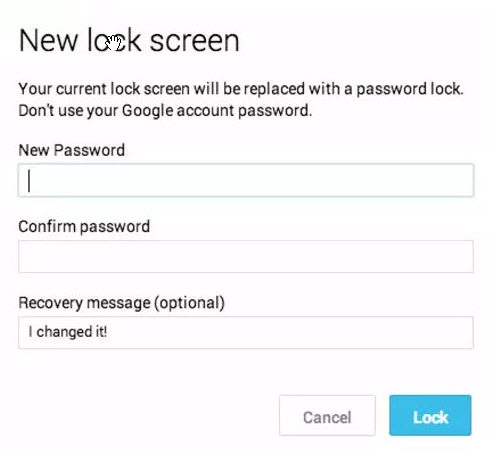 This will wipe your Android device without having any pattern/password lock. If in case you have not enabled Android Device Manager on your locked phone or the Android Device Manager is not available due to some reason, you need not worry. Tenorshare 4uKey for Android is a useful software developed to easily perform the unlock on your phone. You can do this by following the steps below. Step 1: Download and install Tenorshare 4uKey on your laptop or PC and then connect your locked phone. Launch the program and wait for it to detect your unlocked phone. Step 2: Click on “Remove” to remove the security passcode on your locked device. Step 3: Simply press Ok when you get a prompt to wipe out your entire data and enter Recovery Mode. Step 4: After you get into Recovery Mode, head over to Factory Reset. Note that, by clicking on “Remove” all the other data will also be erased from your phone. You will have to restore the required data with the phone’s backup. You can surely unlock phone using Android Device Manager but the Tenorshare 4uKey software offers a much more efficient and easy alternative to this method which can be conveniently used by all Android device users. It is always recommended that you create regular backups of the phone data as during such situations you will end up losing all the data and won’t be able to recover it unless you have a backup.